The National Day of Commemoration has been marked at the Royal Hospital, Kilmainham in Dublin. 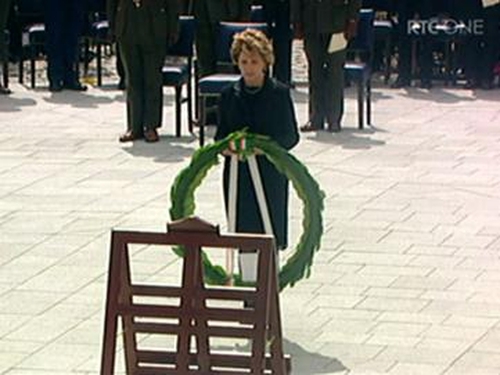 The ceremony honoured Irish men and women who died in past wars or on service with the United Nations. It began with a multi-faith service of prayer, after which President McAleese laid a wreath on behalf of the people of Ireland. The Taoiseach, Brian Cowen, and members of the cabinet and the judiciary were among the dignitaries who attended.